How big do my letters need to be on my sign? 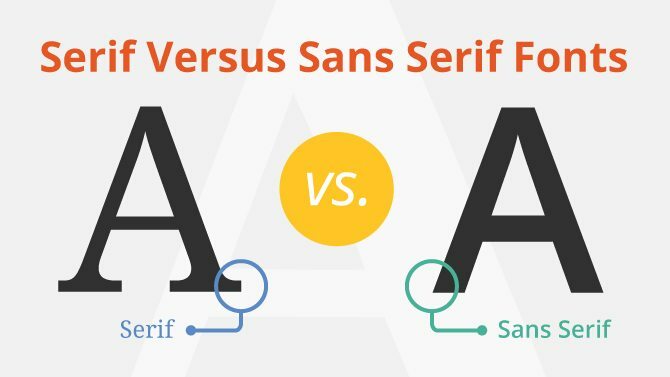 Font Selection: There are generally two types of fonts. Serif fonts and Sans Serif Fonts. 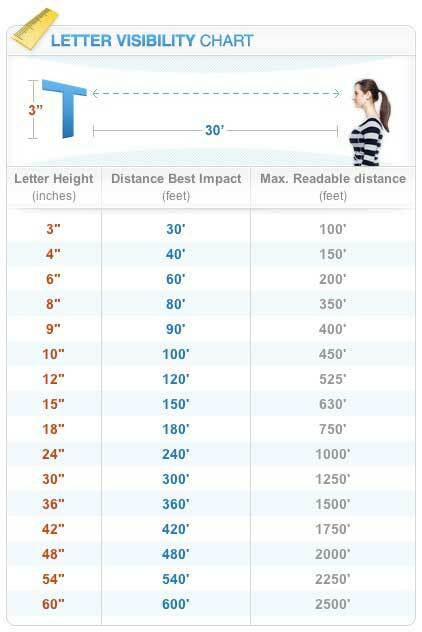 Serif fonts have thinner character width but added ‘tails’ to the corners. Sans Serif fonts are more of a block style, and not as fancy. Sign Letter Visibility – Stand back from your monitor – Sans font versus Sans Serif font from distance. In short, the font type that you choose greatly impacts the visibility of your text. Very thin fonts and script fonts can potentially decrease visibility. When choosing fonts, you want a bold style font that is easy to read with sufficient spacing between letters. You can test this by typing in a few words in a computer program at different font styles, colors, and sizes, and printing them out and posting them on a wall. Stand back and view them at different distances to see how all these aspects come into play in choosing the proper lettering for your sign. 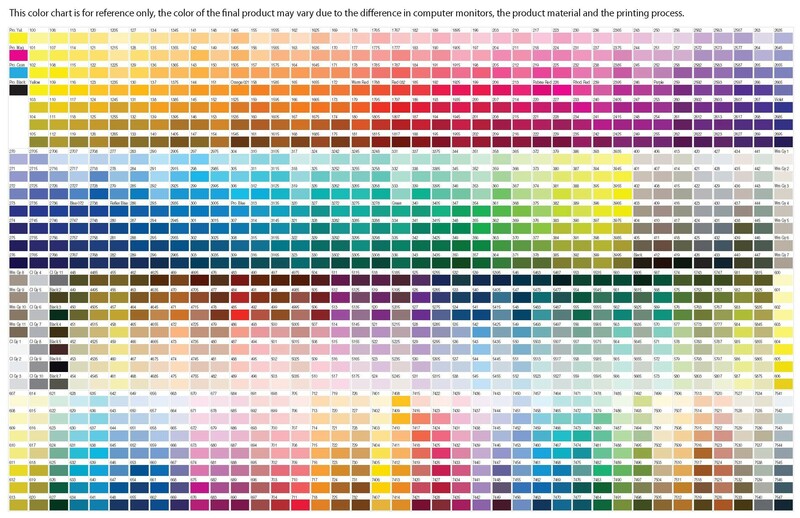 While we can match ANY color from paint manufacturer batch code (or color name), we stock the ultimate color pallet in commercial sign enamels. These commercial grade enamels are specifically for signage, and have color scheme combinations that we know work best together. Our expert designers will design a signage solution that maximizes color usage for visual impact, taking into consideration your company logo design, font selection, and viewing distance. Contact our Design Team for consultation. Our team is a collaboration of artists with decades of experience in the dimensional signage and monument industry. Your project suited to your needs. We will provide you with the most dynamically designed signage solution. We will help you to brand the individuality of your company or property. Our focus is to design, produce, and deliver the Best sign products. Our goal is to make you look your Best, and to save you unnecessary expenses. We offer personal service, creativity and value. Custom monument signs provide a sense of distinction and permanence to your property. Our sign monuments are the style most desired and required by municipalities nationwide for an all over better looking community. With over (2) decades of nationwide success, we will make You Look Your Best! We welcome any challenge in custom signage, and can produce anything you can imagine! Please use our online contact form to start your next sign project. We look forward to working with you! This entry was posted in Business Signs, Church Signs, City Municipality Signs, Commercial Signs, Completed Sign Projects, Funeral Home Signs, LED Sign Projects, Monument Signs, Property Developer Signs, Residential Signs, Sign Design by BSM Staff. Bookmark the permalink.